Get ready for Halloween with this fun DVD for the kids! 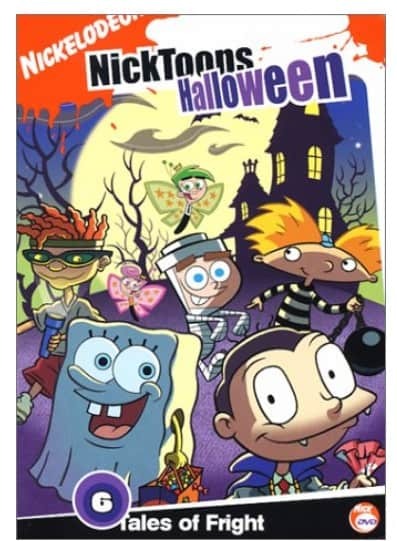 The Nicktoons – Halloween – Tales of Fright is on sale right now for $3.99 at Amazon. That's 73% off the list price of $14.99! Our story is about a cute little pumpkin named Reggie. He can't wait to go to the jack-o-lantern auditions and play pumpkin games at the seasonal patch parties. However, in pumpkin society you either qualify to become a jack-o-lantern or you are kicked out of the patch and made into pie by the Bakerman. The Bakerman never makes pies out of jack-o-lanterns, but he has a big pie order to fill and now all pumpkins are up for grabs, especially Reggie. Reggie's courage unites the pie pumpkins and jack-o-lanterns to join together to defeat the Bakerman. The jack-o-lanterns finally realize the big or small, scary or not, they were all the same. And from now on all pumpkins will be Holiday jack-o-lanterns and treated as equals, thanks to Reggie.